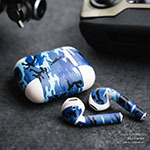 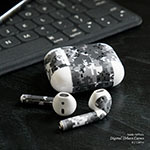 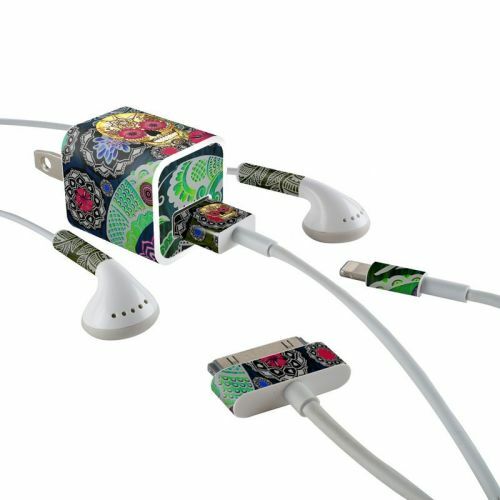 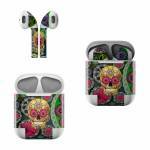 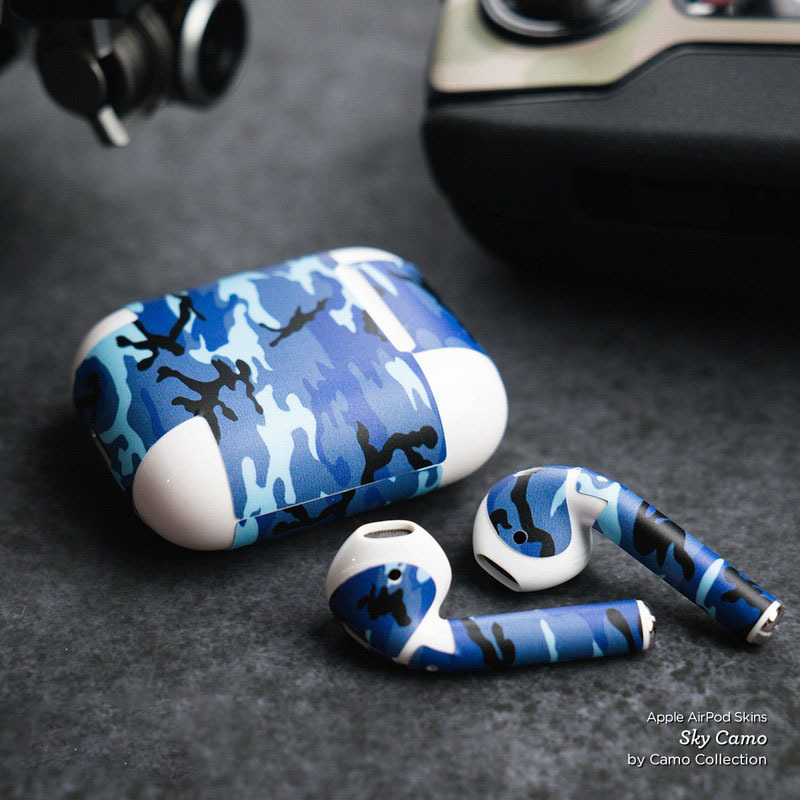 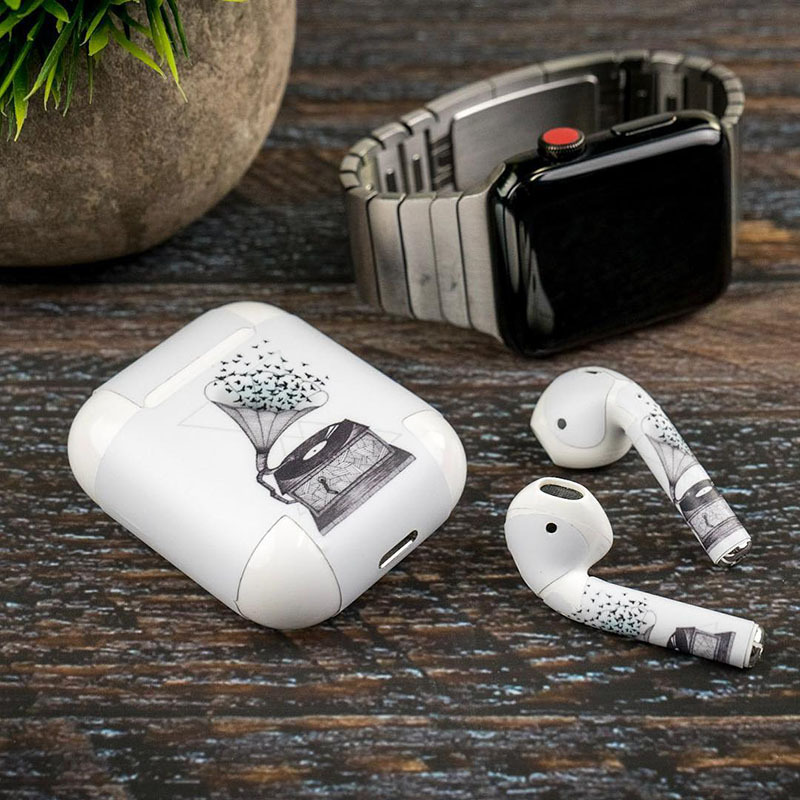 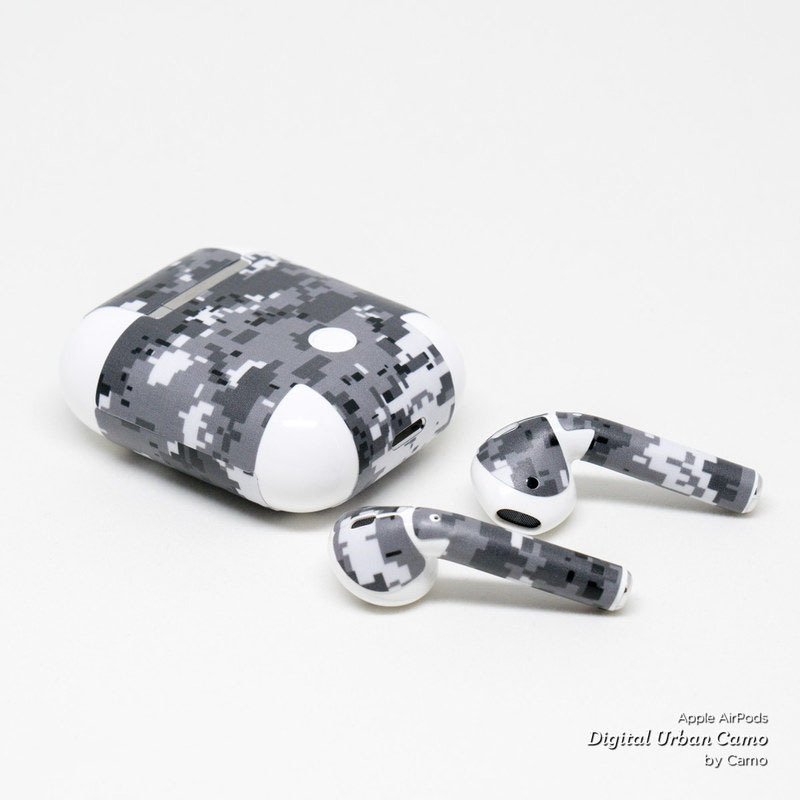 iStyles Apple AirPods Skin design of Skull, Bone, Pattern, Psychedelic art, Visual arts, Design, Illustration, Art, Textile, Plant with black, red, gray, green, blue colors. Model AAP-SUGSKLPAIS. 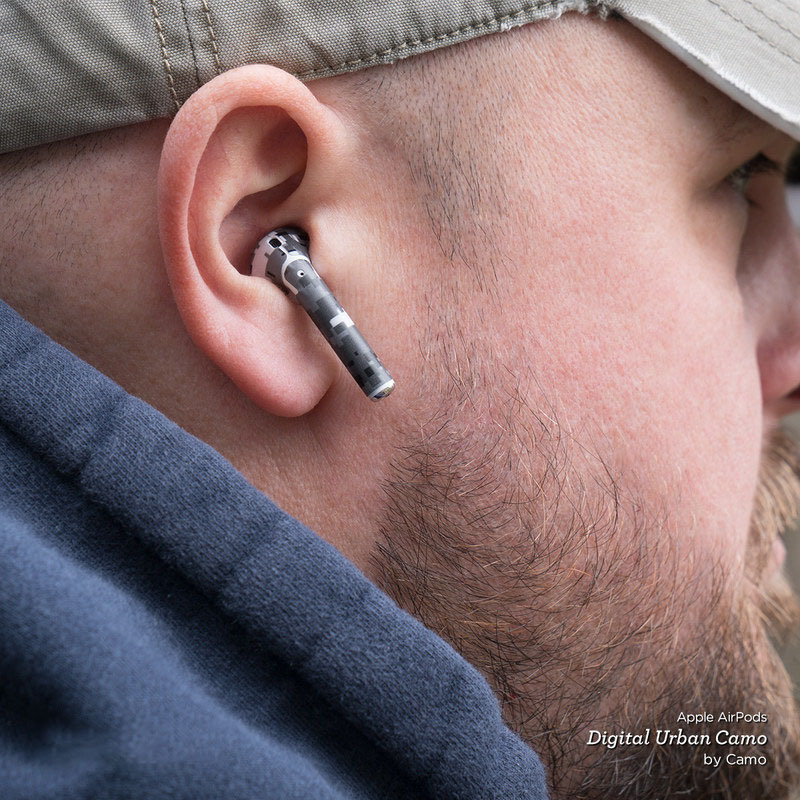 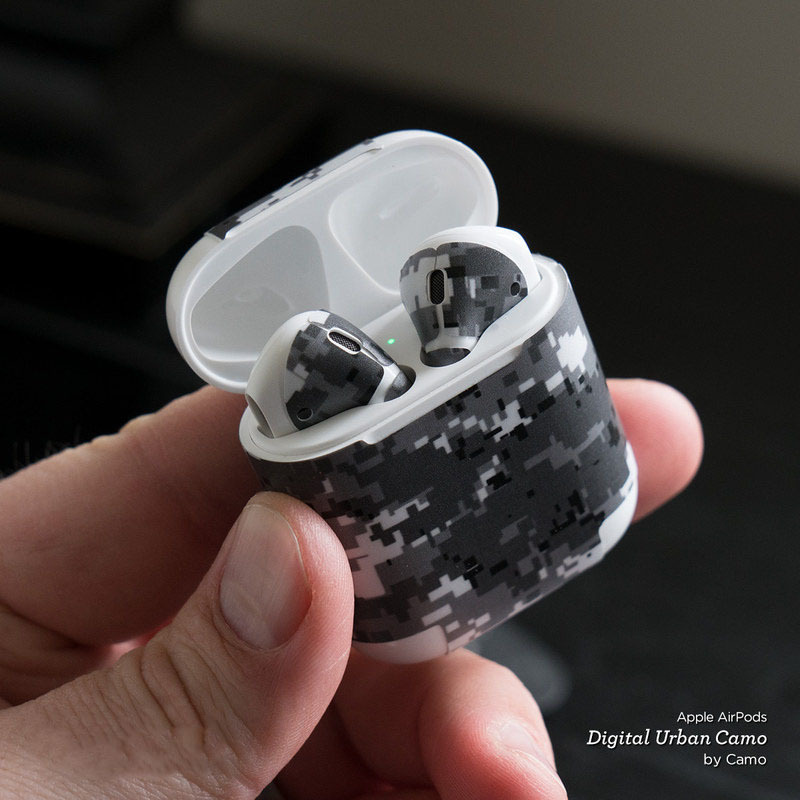 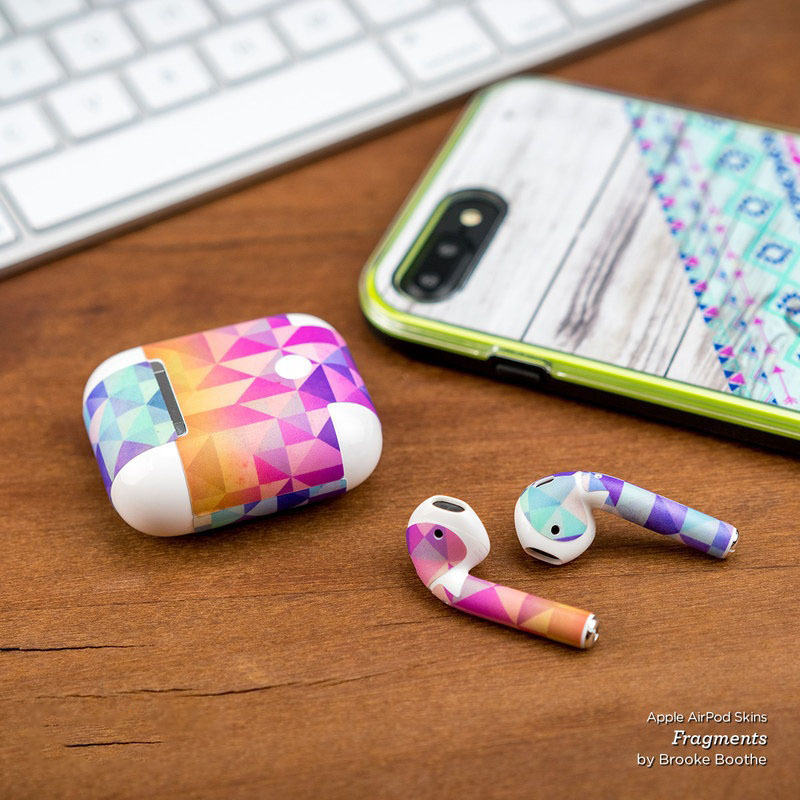 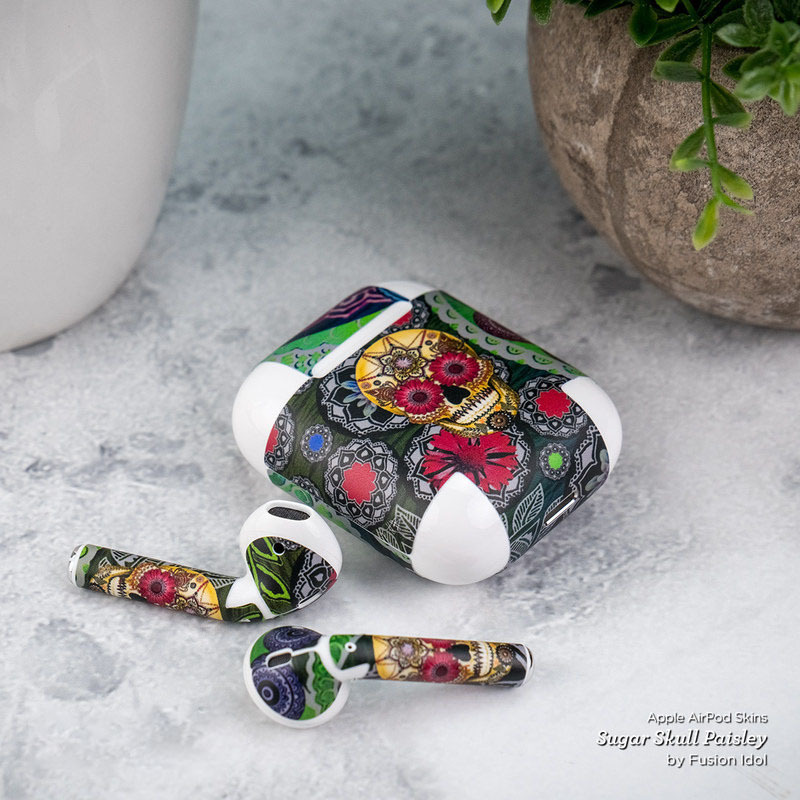 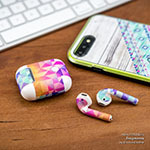 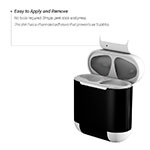 Added Sugar Skull Paisley Apple AirPods Skin to your shopping cart.